Continental is calling on drivers to experience free all-season tyre demonstrations this February half term. The German tyre manufacturer will offer the free demonstrations at Mercedes-Benz World as Partner in Excellence, highlighting its award winning range across each season and weather eventuality. Tests will also mark the first time its AllSeasonContact™ has been available for consumer experiences within the UK. Continental Tyres have not been short of test success, with the Continental WinterContact™ TS 860, PremiumContact™ 6 and AllSeasonContact™ taking top spot across all Auto Express tyre tests in 2018. Proving itself as a benchmark brand when it comes to the safest tyre choice across seasons. Indeed Continental and Mercedes-Benz World are no strangers to free consumer experiences. Over 2,000 motorists have already experienced free winter tests and the responses were unanimous, demonstrating a clear difference between summer and winter tyres. Prior to experiencing the tests 82% of those that took part had never experienced winter tyres. All Seasons, All Weathers, All Winners. 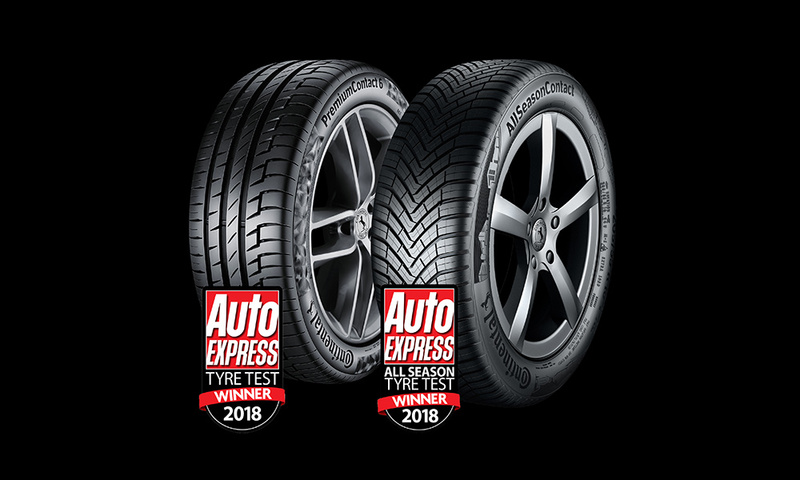 Continental has become the first manufacturer to win summer, winter and all-season tyre tests in a single year from the UK's No1 selling weekly car magazine, Auto Express. Since its test debut in 2016, the Continental WinterContact TS 860 has achieved its third pole position in successive years in the Auto Express winter tyre test. Continental is encouraging drivers to experience free winter tyre demonstrations for the fifth year running.